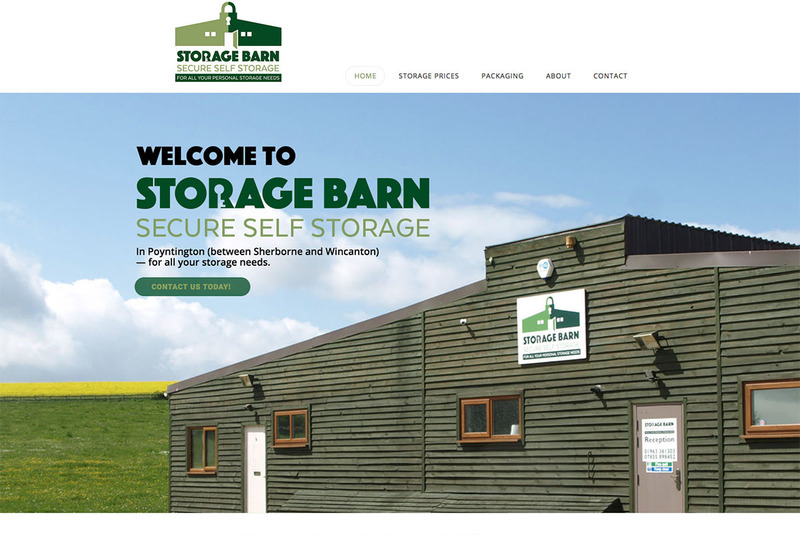 Paul Chester at The Storage Barn originally approached me about creating a logo and brand for his new self-storage business, which is based in Poyntington, Sherborne. 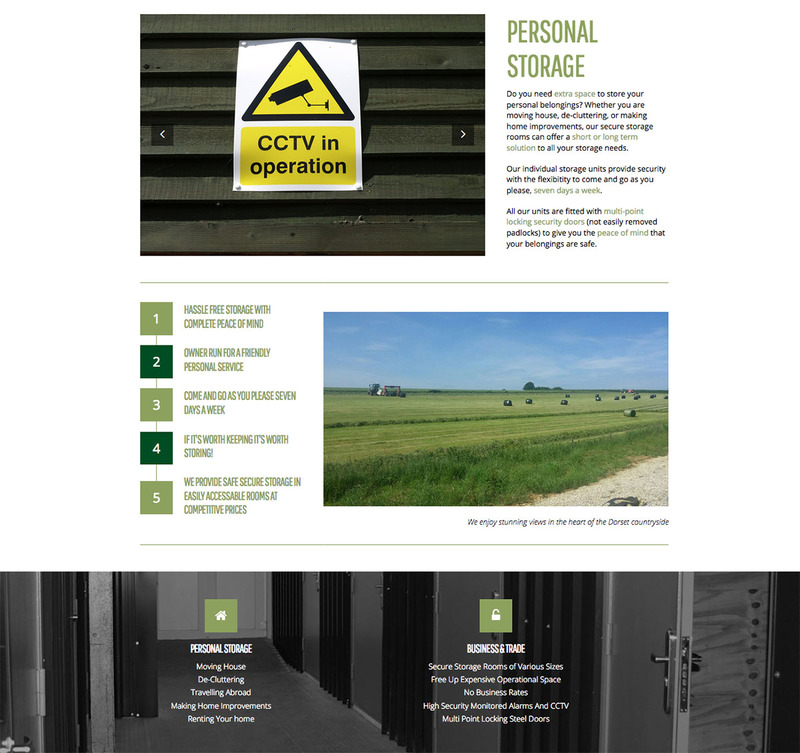 Once the branding aspect was complete, Paul then decided he also needed a website so he commissioned me to create that too. 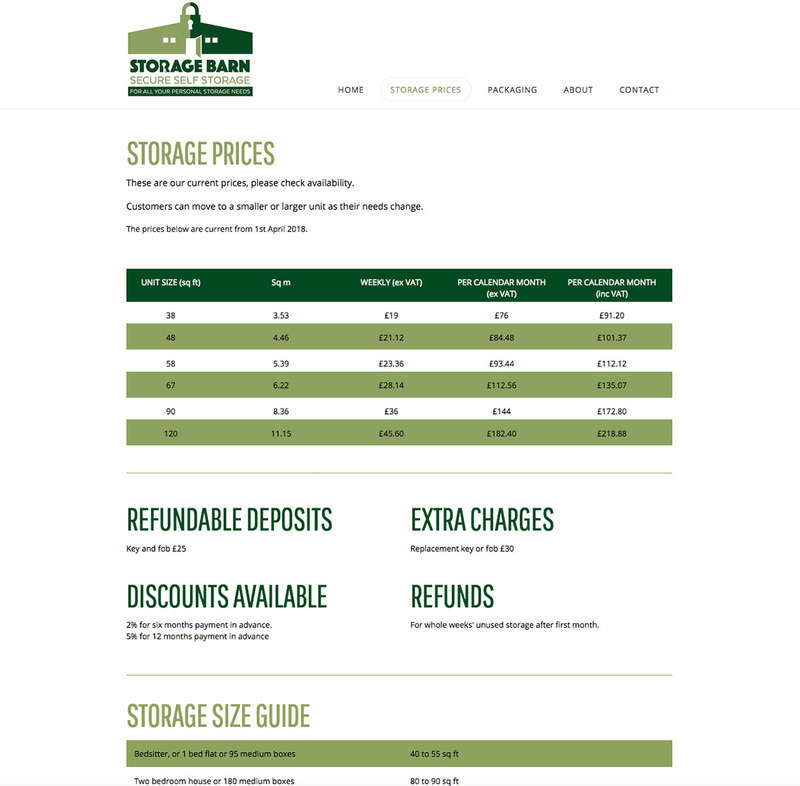 Paul needed a logo and website that was approachable and friendly but at the same time, was strong and gave the impression of safety and trustworthiness — afterall, they’re the main factors you’d look to a self-storage facility to offer. 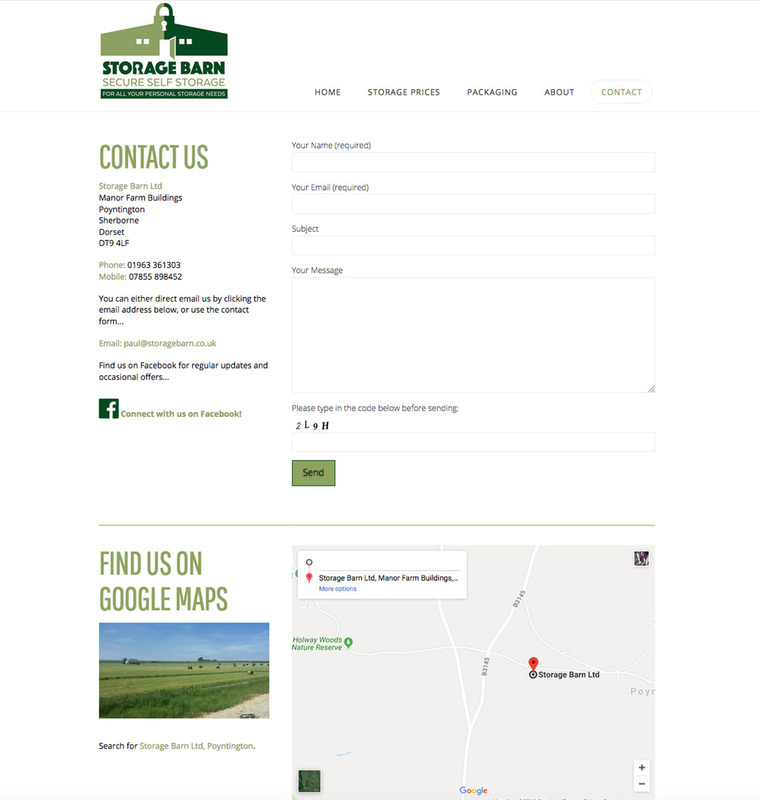 Needless to say, Paul was over the moon with the branding and the website, and he tells me he’s had numerous compliments and positive feedback from people. 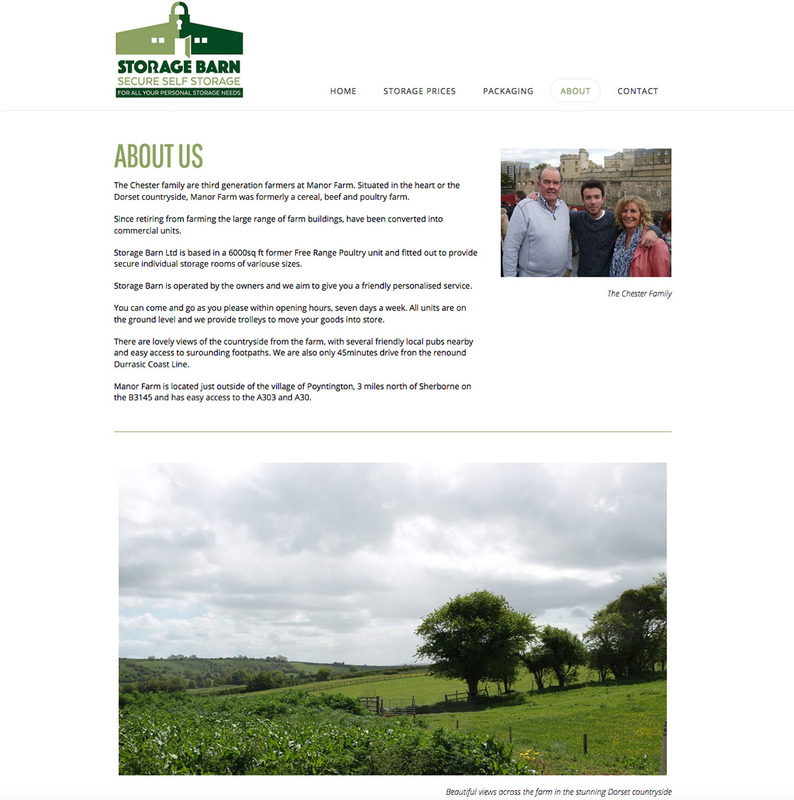 The right logo will attract the right kind of customer and that’s why I do intensive research into the industry a client’s business operates in, who the competitors are, who the audience are — these are necessary to create a brand that communicates with the prospective and of course, current clients.